"The way to God is ever down, He takes care of 'up.'" God moves radically toward us and deals mightily with us when we see and receive Him as Adonai. 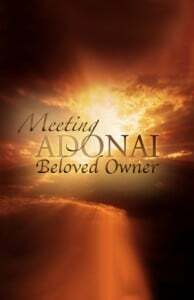 Meeting Adonai, Owner and Master, changes everything. And the Lord proceeded to master the man who called Him Master. God moves radically toward us and deals mightily with us as we recognize and receive Him as Owner and Master.